Beauty and a quality lifestyle perhaps best describe The Moorings and Coquina Sands. Neatly manicured lawns and gently winding streets combine to make these neighborhoods appealing places to live. Occupying a central Naples location, The Moorings is one of the finest residential communities in the city. Properties here are primarily made up of single-family homes and condominiums with some commercial property fronting the Tamiami Trail. 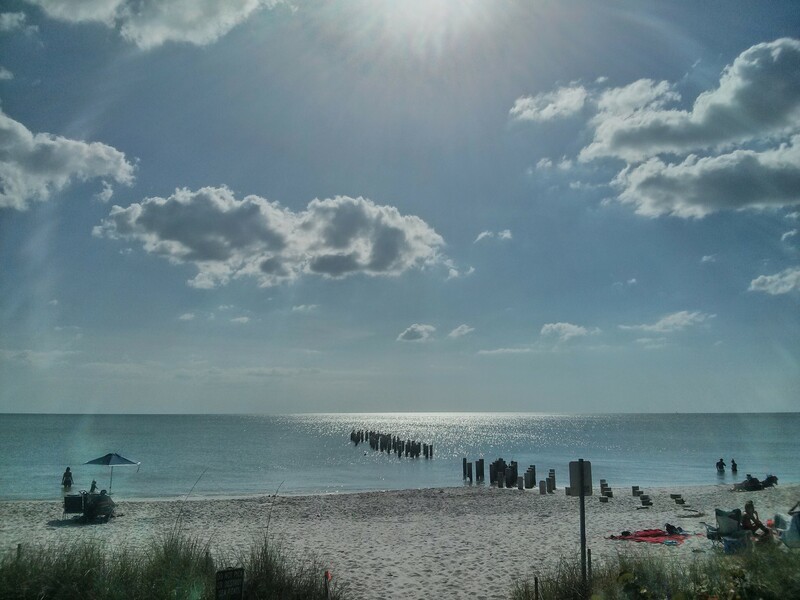 The development encompasses several sections where properties with panoramic water views are located directly on Moorings Bay and the Gulf of Mexico. The developer set aside 500 feet on the Gulf of Mexico private beachfront park for the exclusive use of Moorings residents. The Moorings Country Club offers residents a well-appointed clubhouse with excellent dining facilities and an 18-hole executive golf course. Situated immediately south of The Moorings is Coquina Sands. Some of the first development North of the Naples Beach Club Hotel golf course was done in this neighborhood. There are lovely homes here, some of which enjoy the special benefits of a golf course view. Like The Moorings, Coquina Sands has waterfront areas where homes and condominiums are located on Moorings Bay and the Gulf of Mexico. Coquina Sands is notable for its mature landscaping and charming neighborhood character and particularly, like The Moorings, for its close proximity to shopping, schools, churches and the beach. Both of these neighborhoods represent the true ambiance of Naples. The developer set aside 500 feet on the Gulf of Mexico private beachfront park for the exclusive use of Moorings residents. The Moorings Country Club offers residents a well-appointed clubhouse with excellent dining facilities and an 18-hole executive golf course. Situated immediately south of The Moorings is Coquina Sands. Some of the first development North of the Naples Beach Club Hotel golf course was done in this neighborhood. There are lovely homes here, some of which enjoy the special benefits of a golf course view. Like The Moorings, Coquina Sands has waterfront areas where homes and condominiums are located on Moorings Bay and the Gulf of Mexico. Coquina Sands is notable for its mature landscaping and charming neighborhood character and particularly, like The Moorings, for its close proximity to shopping, schools, churches and the beach. Both of these neighborhoods represent the true ambiance of Naples. Updated: 21st April, 2019 4:56 AM.